24 Different Signature Pens in very Limited Editions of 300 Pens Each. One of a kind!! 1996 Sign for Children Commemorating UNICEF's 50th Anniversary Silver (0.925) Moreover this is 031 th pen of only 300 pcs produced worldwide!! The OMAS Signs for Children series is a very limited line designed to benefit Unicef. On October 14, 1996 Christies of London auctioned off the 24 "one of a kind " pieces in Rome, Italy. 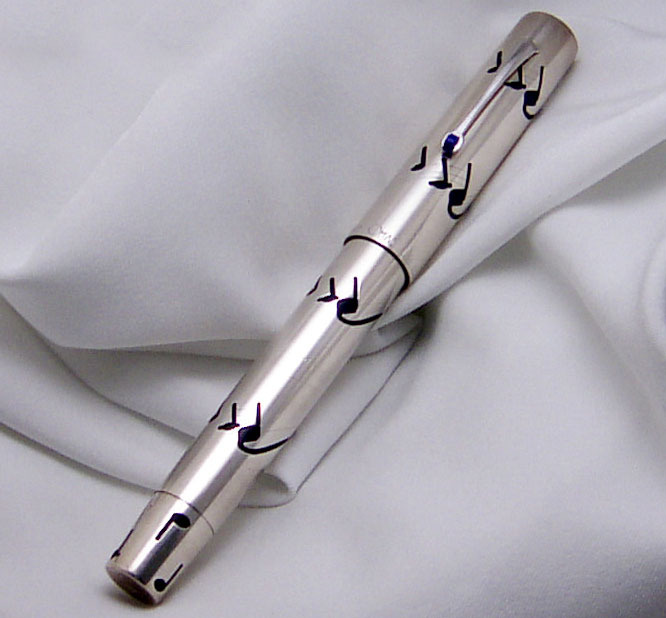 Following the auction, the 24 pens were produced as limited edition in silver and solid gold. In keeping with the generosity and support for which UNICEF is so well known, a portion of the proceeds were put forth to assist with their most financially demanding programs. This collection, comprises of 24 pens, is born from a most unusual and enthusiastic collaboration. Famous names have been conveyed by means of their drawing. A personal message. Some were simple and some were rather elaborate yet all were imbued with the artist's personality. Respecting each one's individual style, as is the nature of Omas. 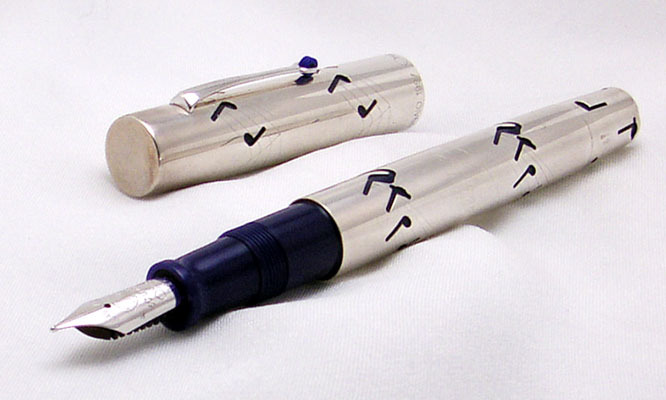 Omas have transcribed the essence of these drawing onto the bodies of each model within the constraints of material limitation and construction requirements. The Design The silver filigrees are shaped in a classic important and refined manner. The color of Unicef blue was not only a tribute to Unicef but also contrast perfectly against the precious metal sheathing. The silver filigrees have an additional rhodium plating for aesthetic consideration. Nib is 18K solid gold. Every clip is accented by a small roller of genuine Lapis Lazuli. Each model was inscribe with the author signature and Omas logo. Each is individually number. At the turning knob there is a 925 (Hall mark) * 144 80 (Hall mark) imprint again. 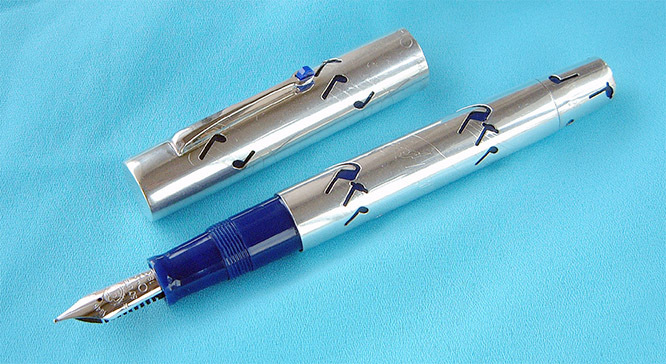 All pen, the cap and the barrel is in musical note imprint. The nib is 18 Karat white gold with very big iridium absolutely in mint condition. The feeder too is in mint condition. 1- There is one very slight subsidence at the side of top of the turning knob. 3- Some slight storing signs. All parts of the pen indicate that the pen is near not used. But there are some slight storing or carrying signs on the soft silver. The pen is in Excellent condition. The pen measures 147 mm in length (capped), the cap is 15 mm in diameter and the barrel is 13.5 mm in diameter. Posted the pen measures 183 mm in length .